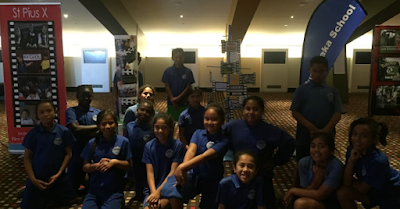 Rooms 9,10,11 and 12 went to the Manaiakalani Film Festival in Sylvia Park at Hoyts. 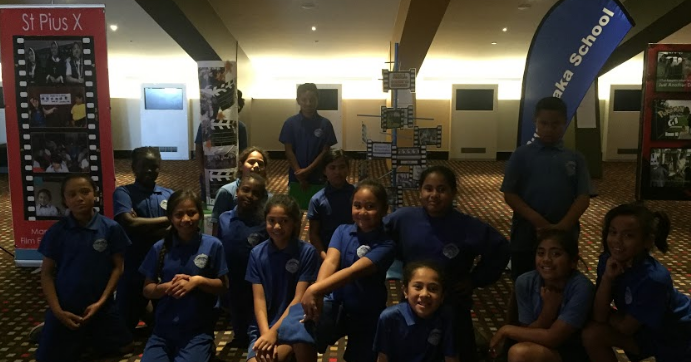 We saw different school in the Manaiakalani like Tamaki College and St Pius also Ruapotaka. I enjoyed when we watched Focuser. My favourite part was when we watched room 7's film because it was so funny.